ery little is know about Thomas Neale; except that he made a number of prints in Paris 1657-1659 much in the style of Wenceslaus Hollar. Neale, Thomas (fl. 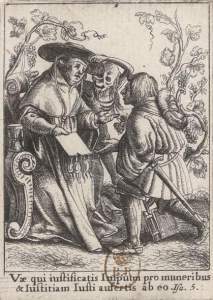 1657), engraver, worked in the style of Wenceslaus Hollar [q. v.] He engraved, copying Hollar, twentyfour plates of Holbein's 'Dance of Death.' The first plate is dated 'Paris, 1657,' and the plates are signed 'T. N.,' or with his name in full. Nagler supposes him to have engraved the plates for the eighth edition of John Ogilby's 'Fables of Æsop,' and states that he engraved some of the plates for Barlow's 'Diversæ Avium species,' Paris, 1659 [see, however, under Barlow, Francis]. 8024 A Series of 29 beautifully engraved Plates by H. Weyen, after Hans Holbein, sm. 8vo. brilliant impressions, carefully mounted and bound in green morocco extra, gilt edges, by Niedrée, £5. This rare edition appears to be unmentioned by either Douce, Dibdin, Brunet or Nagler. 97. — 1657. Mortalium nobilitas || Memorare nouissima et in æternum non peccabis j| II. Weyen ex.|| — Les armes de la Mort servent de frontispice, et on lit au bas de cette planche : Tho : Neale 1657 Paris. — In-16. 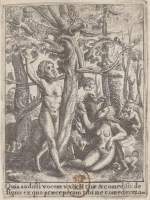 50 gravures assez jolies, copiées d'après Hollar, plus petites que les planches originales et exécutées en sens inverse. Beaucoup d'entr'elles portent : Tho. Neale fecit ou T.N. simplement. — Se trouve à Rouen (Bibl. Leber, n° 1565). Cité par Brunet (1842,11,606), et non par Massmann. Deuchar was not the only artist to copy the Hollar Dance of Death. The series was copied in reverse and in slightly smaller size, but without the Diepenbeck borders, and issued in Paris in 1657. On the dais of P 262 [[i.e. the escutcheon of Death]] is the illegible signature 'G Son...(?) 1657. paris": and in the lower r. corner 'H. Weryen (?) ex'. The prints are approximately 74 × 54, 111 × 90 including the borders. Some are signed 'TN'. Neale's prints are blatant copies of Hollar. The various authorities disagree as to whether the series consists of 24, 29 or all of Hollar's 30 copperplates. I can state that there are at least 29; if a single is one missing it would be the old man.